Did you ever searched for some unusual sounds on net. This website is perfect for finding those sounds like the sound of bullet to sound of chimpanzee. Wonderful list. FindSounds.com is a free site for finding sound effects on the Web. It is a Web search engine, like Google and Yahoo, but with a focus on sounds. It provides powerful features, yet is simple and easy to use, and suitable for all ages. Note to parents: audio files containing obscenities are filtered out so this site is safe for children. To learn how to search the Web using FindSounds.com, visit the Help page. FindSounds Mobile is the mobile version of FindSounds.com. If you are using a smartphone or other handheld device, go to FindSounds Mobile for a touch interface tailored to your screen. If you are using an Android device, check out their new app, FindSounds for Android. FindSounds.com, FindSounds Mobile, FindSounds for Android, and FindSounds Palette are owned and operated by Comparisonics Corporation and utilize the company's leading-edge technologies for audio search and display. William.hoza.us is a websites which has a very good list of Google Chrome Experiments worth trying and for passing time. crumbles.co let you to create video message from the input text using scenes from different movies. Problem is it only provide 25 texts. Ifitweremyhome.com will let you to compare your country with others. 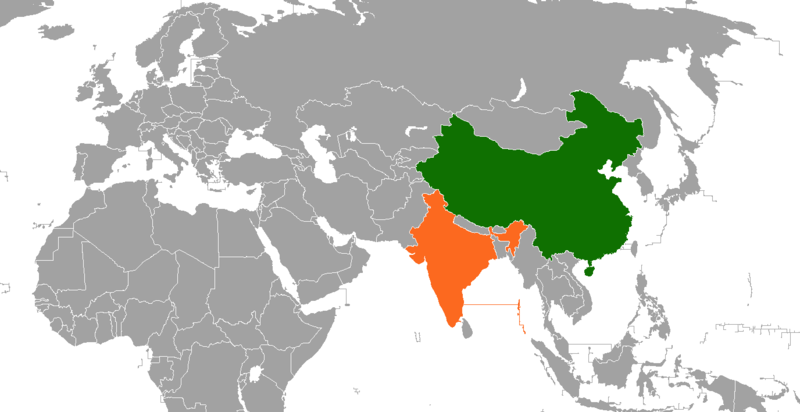 It will show you some mind blowing analytics regarding the countries compared. Just try it and enjoy it. IfItWereMyHome.com is your gateway to understanding life outside your home. Use their country comparison tool to compare living conditions in your own country to those of another. Start by selecting a region to compare on the map to the right, and begin your exploration. BuiltWith.com gives you insight on different resources used by any website. It gives the hosting provider, email service, domain name service, server use etc of a website. Just enter the website name and click lookup button and it will display all the details. Search and drag to create beautiful designs without ever leaving the Web. 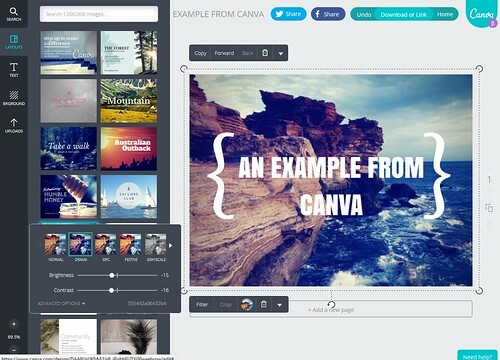 Canva takes care of the boring bits so you can spend more time creating. Start with a custom layout or a blank page. With all the tools in one place, there's nothing holding you back. Simply search for the best graphics, photos, and fonts, or upload your own, then use Canva’s drag and drop tool to create a design. Design with hundreds of free elements and fonts, or choose from our library of more than 1 million premium images for $1. A new way to discover products. Each chart gives you an easy to grasp overview of what is available on the market, and provides the tools to find the product that is perfect for you. Choose a category and try it out. The Product Chart mission: For every product type, provide a nice overview of what is available in the market, plus the filters to choose the perfect product. Flickr hosts millions of images that are licensed under a Creative Commons license or are in the public domain (Flickr Commons). Depending on the license, you may use the images on your private or commercial webpage, or can make changes to it. Often, you are in a great need for some pictures to freshen up your webpage and would like to include one of these images. With ImageCodr.org, there is no need to do all this manually, you simply enter in the URL of the picture page (as seen in your browser) you are interested in and ImageCodr.org will generate the ready to use HTML code. It will also display a brief and easy license summary, so you don't get in legal trouble because you missed something. Creative Commons is a nonprofit organization that enables the sharing and use of creativity and knowledge through free legal tools. Their free, easy-to-use copyright licenses provide a simple, standardized way to give the public permission to share and use your creative work — on conditions of your choice. CC licenses let you easily change your copyright terms from the default of “all rights reserved” to “some rights reserved.” Creative Commons licenses are not an alternative to copyright. They work alongside copyright and enable you to modify your copyright terms to best suit your needs.